This was a big year for developments in digital retail and supply chain. From a GAP warehouse fire to Hurricane Matthew to the Hanjin bankruptcy, the news was full of big events that had big impacts. There was smaller news with less of a ripple effect, such as UPS/FedEx announcing rate hikes (expected), Oracle buying NetSuite (expected), and Millennials continuing to keep retailers and suppliers on their toes (also expected). 2016 provided much to talk about and write about this year. Thank you for tuning into the SPS Blog to catch the latest news and share your viewpoints. There was also plenty of interesting things happening at SPS Commerce, with our new integration with Quickbooks, an excellent supply chain white paper with our partner Deposco, and SPS In:fluence 2016 was a huge success (shameless plug – join us at SPS In:fluence 2017!). Tackle order spikes and surges whenever they hit – Many companies have a well-established process for day-to-day order volume, but are simply not equipped to handle order spikes. When order surges happen, they could make or break a company. How to make BOPIS (Buy Online, Pickup In Store) a win-win – More and more consumers want BOP service, and many retailers are trying to offer it. Whether or not it is a successful program is determined by how it’s set up, and how good the experience is for the customer. Support your retail strategy with intelligent sourcing – Intelligent sourcing is a process by which trading partnerships and sales performance are continuously re-evaluated and improved for the greatest efficiency and the best price points for the retailer, supplier and the customer. Drop shipping for smaller retailers: It’s not just for Amazon and Walmart – Retailers can expand their offerings and increase their sales by embracing drop shipping from new vendors and reap the same benefits of retail’s leading companies, including Amazon, Target and Walmart. Reducing the costs associated with online returns – There are mixed feelings among our retail customers about how to manage customer online returns. Historically, this has normally been the last thing on a retailer’s mind, but statistics show 30 percent of all products ordered online are returned, and that can creep up to 50 percent during the holiday season. Adding drop ship: 3 technology approaches – More vendors are deciding to offer drop shipping and trying to figure out the best way forward. There are three popular ways to accomplish this, and we break them down here. How to choose the right 3PL – No matter how complex the need, there are three basic capabilities that sum up what suppliers need to get out of a 3PL: expertise, capacity and technology. How does a vendor know when a logistics provider is good for business? The end of special orders – Special orders have always been a particular pain point for distributors. Today many are streamlining this process with automated ordering, consolidation and inventory management systems. Drop shipping: tips for getting started – Drop shipping is becoming mandatory for most retailers seeking to offer new products, categories of products and new suppliers into their trading partner networks. So what’s the best way for suppliers to start drop shipping? More and more vendors consider selling direct to consumers – While most suppliers don’t sell directly to customers, a large number of them have been doing just that. It’s a new way vendors are thinking about their sales channels. More and more are selling online as a way to grow profits and market share. With 2016 nearly complete and in the record books, it’s time to look forward to 2017. As retail and supply chains evolve, we’re sure to see big breakthroughs and changes next year. At SPS Commerce, we’ll be watching how the landscape evolves and doing everything we can to help retailers, suppliers, wholesalers, distributors, 3PLs and other organizations keep up with the pace of change. Want to keep up to date what’s happening in retail news? Follow SPS Commerce on Facebook, LinkedIn and Twitter. 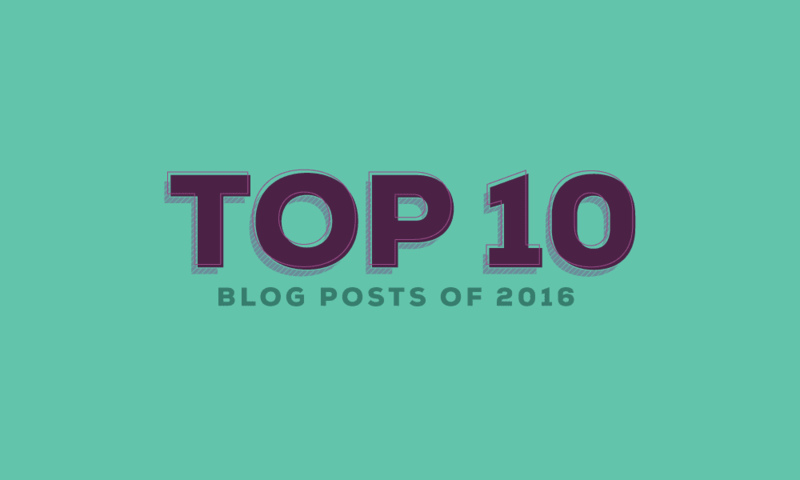 And, keep watching our blog to stay informed in 2017.